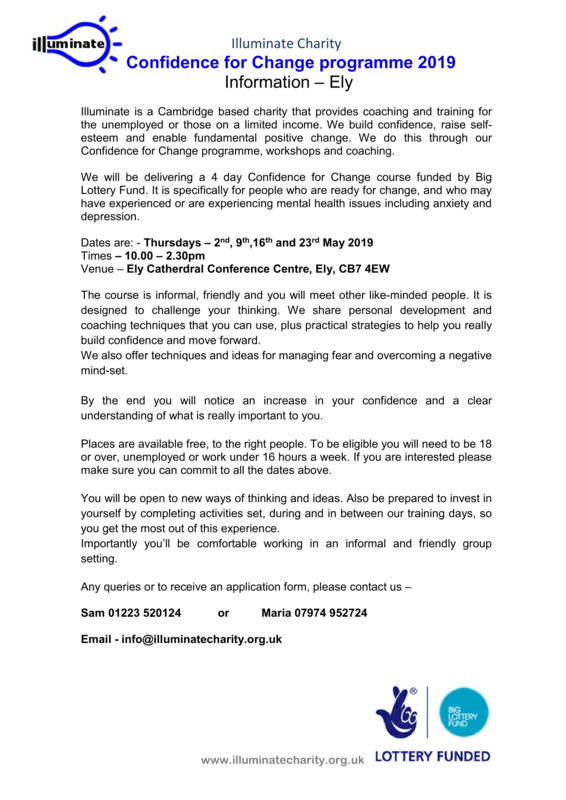 Illuminate are running their Confidence for Change Programme in Ely. This will run during May and start on Thursday 2nd May and continue for the following 3 Thursdays. The course is free of charge and suitable for those ready to make change. Participants will leave the course feeling more confident, motivated and resilient. We work with adults of all ages who are not in work and who maybe experiencing mental health issues. More details of the course can be found at https://illuminatecharity.org.uk/userfiles/BriefingNoteEly2019.pdf or below.